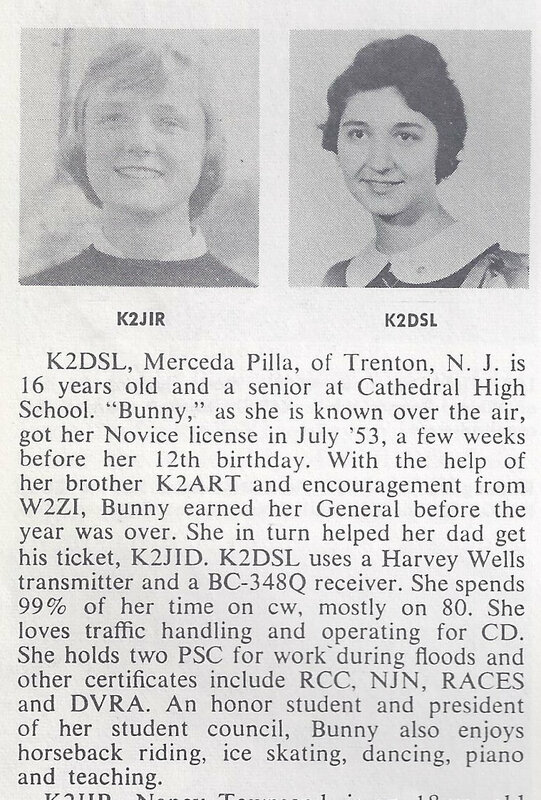 Back in 2009 I wrote a post and was in contact with Merceda aka “Bunny” the original holder of K2DSL in the 1950s. 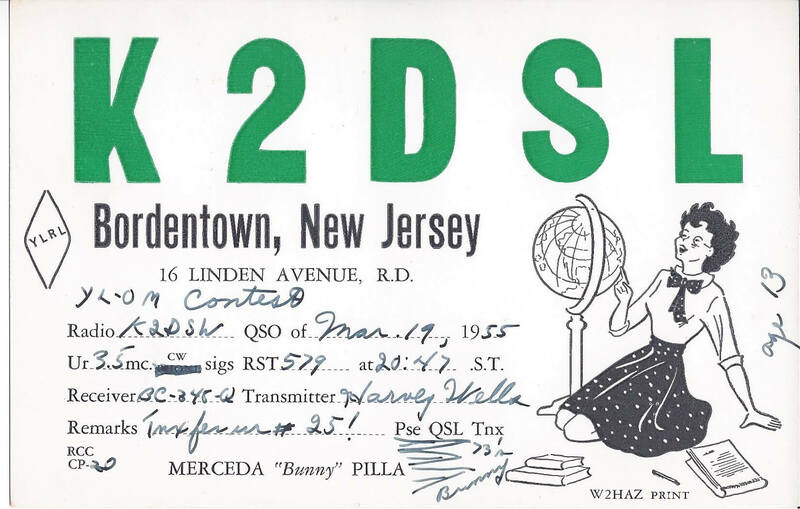 After a contest a few weeks ago where K2DSW (Bob now in Iowa) and I, K2DSL were often following each other making contacts, I sent Bob an email, In our exchange he asked me about the original K2DSL as he had made contact with her and sent me some QSL cards from his exchanges. 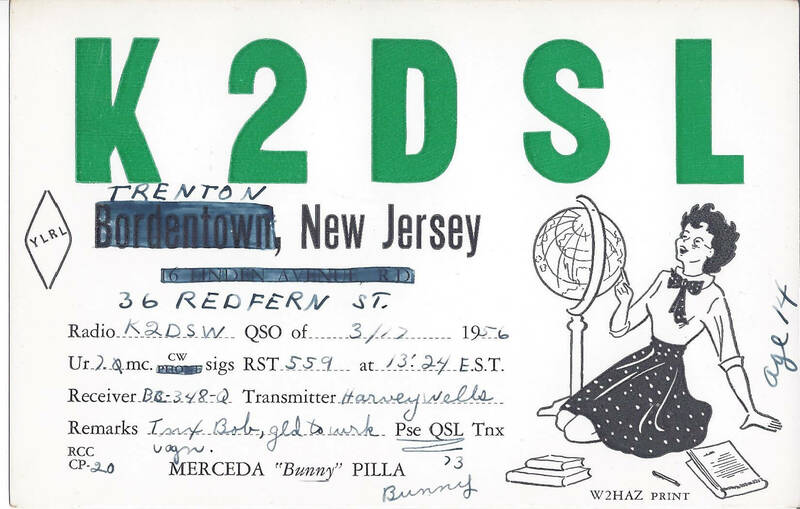 With Bob’s permission, I’m posting the QSL cards from his contacts with the original K2DSL back in the 1950s when Merceda was between the ages of 13 and 15 years old. I’ll have to check in with Bob and see if he was able to get in contact with Merceda using the email address I had from 2009. Interesting look back into the past. 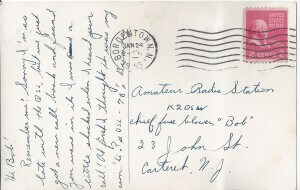 Thanks again Bob for the great scans on those cards from the 50s. Now that I posted about the SARTG & NAQP contests from a couple weekends ago, I can get to this weekends summary. Starting Saturday morning on the East Coast is the 24 hour SCC RTTY contest that last for 24 hours. The exchange to send between stations is the year the operator was first licensed so I send 2007. Each unique year on each band counts as a multiplier for your final score. I decided to use the N1MM+ beta version that was released. Though it has been available for anyone to use for 2 weeks, last weekend I wasn’t home so this is the first weekend I could use it in an actual contest. For the most part it worked fantastic which just a glitch near the start where I was replicating an issue someone else had and caused my installation to become corrupt, but it wasn’t difficult to recover. Anything else I ran into wasn’t critical and never prevented me from making a QSO and logging the contact. The N1MM+ development team has put in a tremendous amount of time and they are positioned to have an updated environment to build upon for many years. Conditions were pretty crummy for me, especially early on at 8am local time and the activity was pretty slow at times so I did other things (aka errands) while I went back and forth to the radio. The advantage of it being somewhat slow was I could mess around with N1MM+ and especially some of the new features/options to see how they worked. On Sunday morning, though I woke up before the end of the contest, conditions weren’t much better and I didn’t locate anyone on 40m or 80m so I worked a handful of stations on 20m before the contest ended. Looking at the license data that is sent as part of the exchange, the earliest license date I received from another op was 1946 (born 1928 based on his QRZ page) which makes the operator licensed for 68 years now! I didn’t log anyone licensed in 2014 and just 1 operator licensed in 2013. The median license year I logged across unique operators was 1979 and the most frequent wasn’t much different with 1978 being the year the most operators I worked were licensed. 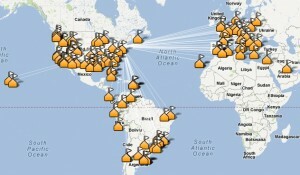 As you can see, most activity was on 20m for me until the evening. I was hoping for more US stations to be on to work 40m and 80m but they must have been doing other things on a Saturday night of a holiday weekend. No 10m activity that I could find and nothing very exotic. Now time to unplug the antennas as a series of thunderstorms are about to pass through. Afghanistan Logged and Confirmed – TU T6T !! 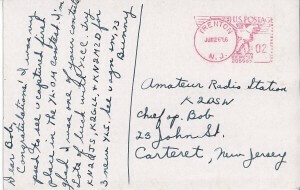 I have seen T6T in Afghanistan (DXCC YA) on the cluster for a while but was either never able to hear him or not at the radio to even try. Well that changed today when I saw T6T spotted on 17m RTTY. I could just barely “print” him on and off for a few hours starting around 9AM ET (1300z) as I worked other stations and did some things around the house. About 2PM ET (1800z) I had a stronger copy on him and started sending my call again. It took a few shots but at 2:18PM ET (1818z) I was able to put T6T in the log! The below RTTY copy might not look pretty but it looks fantastic to me. I’ve removed noise copied and kept the relevant exchange. T6T: K2DSL DE T6T CFM TU 73! 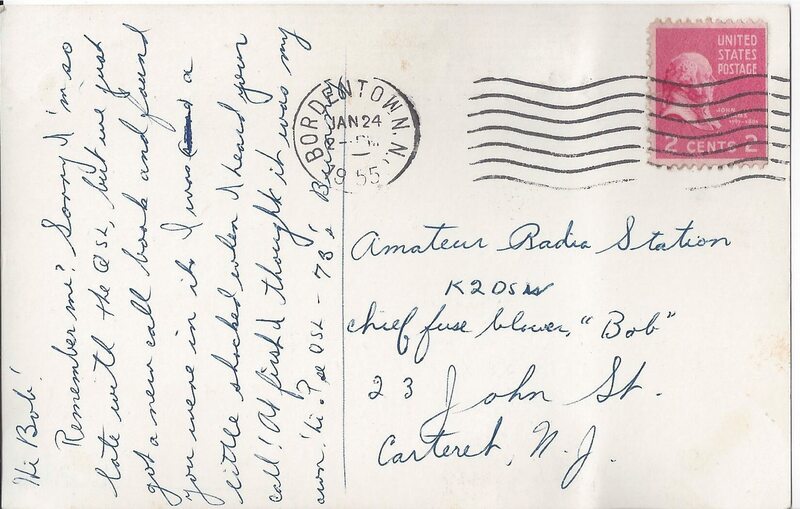 The QSO was made at 1818z and LoTW shows he uploaded his log and our QSL is confirmed at 1955z for a new DXCC confirmed. Thank you Shuravi for working me from your station in Afghanistan with 100 watts (same as me) and a dipole on a bamboo mast. Field Day has been over for a week and I’m just getting around to posting about it. After missing 2 Field Day’s in a row due to my daughters having back to back years of high school graduations that landed on FD weekend, it was nice to be back. BARA, our active local radio club, now operates Field Day on a large field in a town in our county that provides plenty of area to work with and huge lights for the field we can string up antennas between. There’s also a covered pavilion and bathroom facilities next to the field. One group met where we store our equipment and loaded up a few cars and trailers with tables, chairs, coax, tents, etc. The other team was at the field shooting rope up for the antennas. This is the first FD I’ve had with the club where we didn’t try and setup a tower or two and it sure made setup much easier. When we arrived at the field all the lines were ready for us to start stringing antennas and setting up the stations. We had 3 stations that would get tents and the other 2 stations would operate under the pavilion. One one of the field we had the 40m station that strung wire antennas across the field and parallel to the field. We had the 80m station at the opposite end with OCF wire antenna. We had the 20m station on the opposite side of the field with a double extended zep. We had as 10m station/ 160m station and that used a wire antenna for 10m and a vertical for 160m. The 15m station had a wire antenna that wasn’t working well and we switched to a G5RV we had hung up between poles. Instead of running up to the last minute in getting everything setup, we were done with 2 hours to spare before the contest (or event if you don’t want to call it a contest) started. All stations had notebooks with WiFI that communicated with each other via a router and wifi antenna that was centrally located. It worked well and I didn’t hear of a single issue with the computers. Most but not all computers were hooked up to the notebooks so they were synced for band, freq and mode. All stations ran off a total of 4 Honda generators that used very little gas over the course of the event. We started out with all stations ready to go and the 80m station focused on 40m phone while the 40m station worked CW. I walked around and made sure things were working well everywhere and hopped on the 15m station. Conditions for us weren’t very good on 10m and 15m so it was slow going on both those stations. 40m was good the entire time and 20m was good well into the evening. In the evening we switched the 10m station to 160m and a couple works ended up working a good number of stations using the vertical that had a boatload of radials. Once it got later the 40m SSB station switched to 80m SSB and started calling CQ to some mini pileups. We made some solar contacts as well as some satellite contacts on 2 different passes. I really enjoy watching the satellite guys work. There were some ISS passes on Saturday and they were heard, but not worked. We had lunch and dinner served by one of the club members who did a great job with burgers/dogs for lunch and pasta/pork chops for dinner. No one was hungry and there was always coffee available. I decided to head home for a quick nap around 1am ET (0500z) and have a shower in the morning before heading back to the site. I got back on Sunday morning around 7:30am ET (1130z) and all stations except 10m & 15m were making contacts. 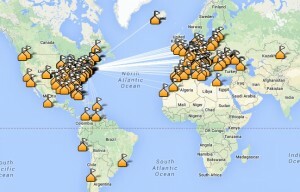 10m and 15m picked up a little on Sunday but still nothing exciting. 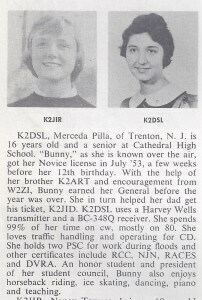 Folks worked all the stations, sometimes teamed up in pairs with one on the radio and the other logging. I prefer doing both but some rather pair up. We worked all stations right until the end before we shut them down and started to tear down. 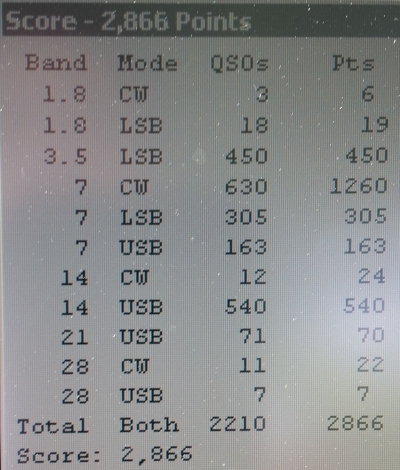 There were 21 Qs on 160m, 450 on 80m, 1098 on 40m (ignore the USB as they were LSB), 552 on 20m, and just 71 on 15m and 7 on 10m. I’m glad I was able to participate in FD again after a 2 year absence as I certainly had a lot of fun! I had only a short time this weekend with family in town and a bunch of events to attend to get on the air. On Fri I made some late contacts in the Makrothen RTTY contest. The exchange is grid square and the points are based on the distance between my station in FN21 and the station I’m making contact with adding a multiplier of 1.5 on 40m and a multiplier of 2 on 80m. You can really rack up a score in this one which has 3 different sessions that make up the entire contest. Bands were kind of stinky but it was good to get on the air. I also configured N1MM to add a 2nd RTTY decoder window using 2Tone by G3YYD which did seem to decode the incoming signal better then MMTTY. I think I’ll run these 2 different decoders for a while and see how things work out. I do need some more monitor real estate though and a 2nd display seems to be inevitable. On Saturday I only had a short to make any contacts in the 2nd session and then I was busy the rest of the time. On Sunday I had no time to get on the air during the 3rd session. So it was a minimal effort but fun nonetheless. Here’s N1MM’s score summary and logs were submitted and uploaded to LoTW & eQSL. After the NY Giants handled the San Francisco 49ers, I checked the cluster and saw the TT8TT DXpedition to Chad on 20m SSB. I hadn’t spent any time looking for them but figured I’d give it a shot. Took about 15 mins before I worked them for a new DXCC. Maybe I can find them on RTTY and get them in the log on that mode before they shut down operations over the next day or so. Not much contesting this weekend for me as I wasn’t going to be around much. 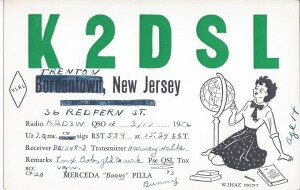 I did make some contacts on 40m in the Maryland QSO Party on Sat. On Sat I worked FR5MV (Ray) on Reunion Island off the eastern coast of Madagascar. That was a new DXCC entity, which is already confirmed via LoTW. That was great! On Sat morning I heard a Hong Kong station on 17m. I haven’t worked a station in Hong Kong on any band and barely hear them even when I see them spotted on the cluster. The operator was Kazu VR2KF. He was strong on just my G5RV though with a warble. 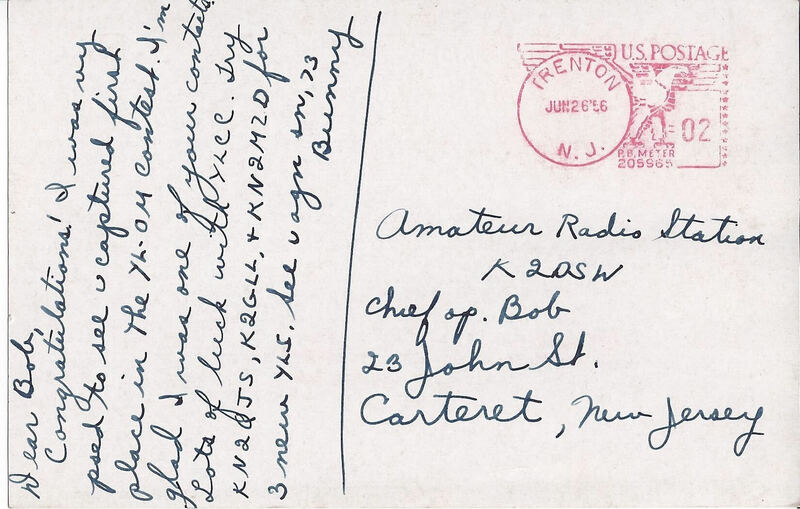 There were a lot of stations calling and since it wasn’t a great copy for me, I emailed him. Kazu responded back immediately and we tried a couple of times but I wasn’t able to work him – all on my end with the G5RV. Kazu told me he’ll be on again Sun morning so after I got up I checked my email and he said he was on but not hearing the US yet. Then he emailed me that he’s hearing the US. I got on the radio and there he was, stronger then yesterday AND he was calling for K2DSL! I put out my call a couple of times, he heard me and we had a short exchange. I copied a 339 from him as well as my name and he got a 559 from me. At times he was 599 but then would drop down. At 1152z I had Hong Kong in the log! I continued to listen to Kazu for another 20 mins. He got even a bit stronger with less up and down. I emailed Kazu to thank him for such a terrific effort on his part. What a fine op! Saturday into early Sunday morning was the IARU HF ham radio contest. I participated on and off during the day Saturday. Conditions early on weren’t great they seemed to improve throughout the day. Spent most of the time on 15m & 20m and switched back and forth. 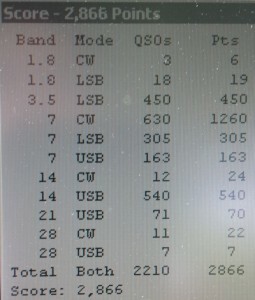 I worked unassisted and wasn’t using the DX cluster so I just kept scanning up and down the bands. Late in the day before I was reading to call it a night, I scanned the bands one more time and heard 9K2K coming in strong. When I entered the callsign into N1MM, it showed the station was in Kuwait. I called once and he came back to another station and on the next call he came back to me. We each gave our contest exchange and I had my first Kuwait station in the log! 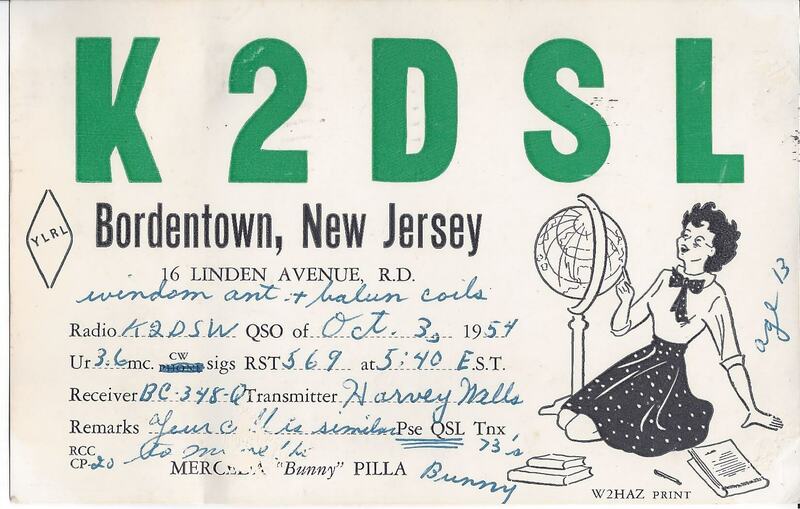 DX contests are often good times to work new DXCC entities and that was the case for me this weekend. I worked a total of 39 different DXCCs (loosely equating to countries) with 1 new one in the log. Next weekend is the NAQP RTTY contest and I’m looking forward to that one. P5 North Korea Might Be Activated? Just read in the Daily DX Daily by W3UR that there’s some initial rumblings of a possible P5 activation. From what I can find in a quick search, the last time an approved P5 station in North Korea was on the air was 2002 by P5/4L4FN. Information on the possible activation is at http://www.k6vva.com/p5/ . Lets hope it continues to move forward! I was travelling on business this week and on Thursday noticed I was about 15 QSLs short of reaching 20,000 on LoTW (Logbook Of The World). 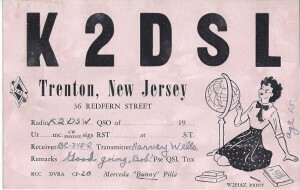 This morning I looked and I’m currently showing 20,009 QSLs. 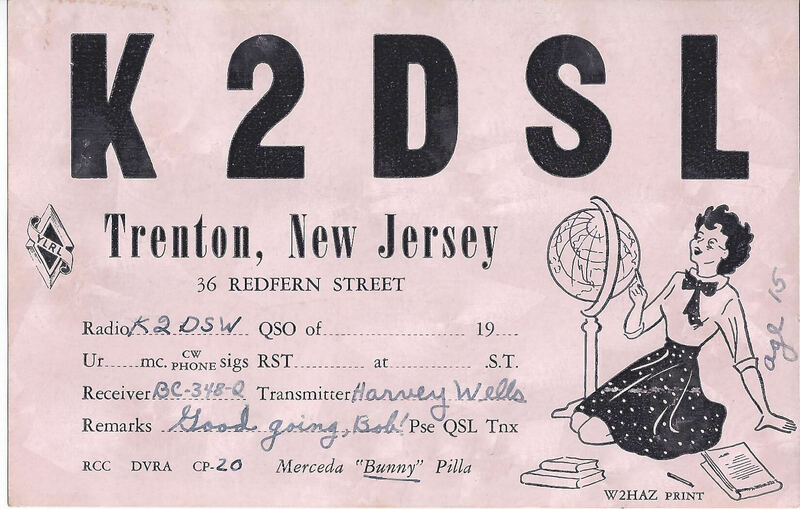 With about 33,819 QSOs, that’s just a LoTW QSL rate of 59%. 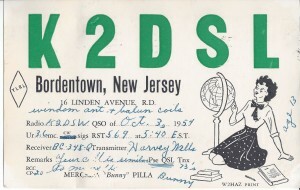 It doesn’t count the hundreds of paper QSLs I have, though there would be some overlap for the same contacts. Thanks to all those operators, about 4620 unique callsigns, that made the QSOs and followed them up with LoTW QSLs.